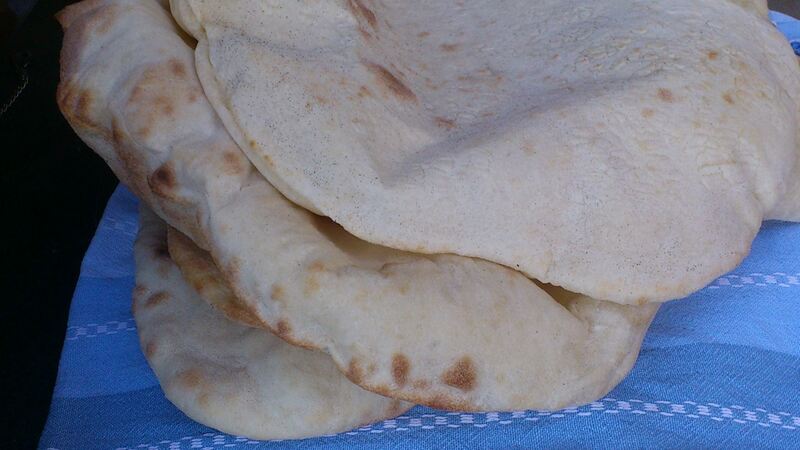 Mmmm, home made Pita Bread crispy or soft, and delicious. Not to mention the thrill I get from seeing them all puffed up as I turn or take them off the baking Stone. 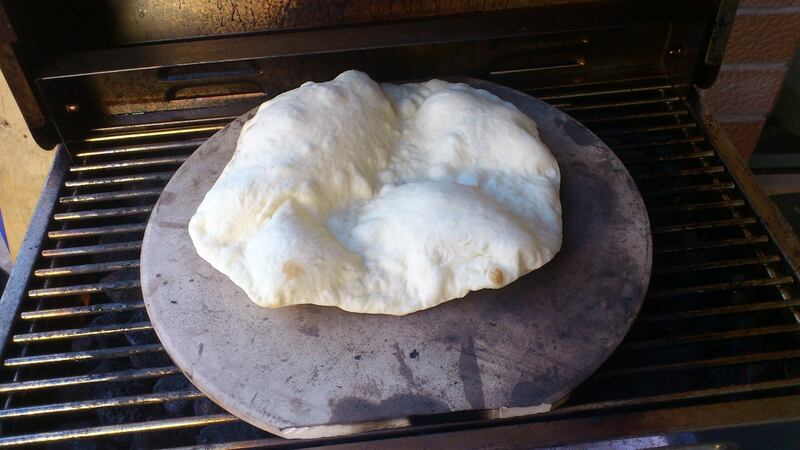 I have a small gas barbecue with volcanic rocks and a pizza stone cut down to fit and so far I’ve had no problem with getting the pitas to puff. I just leave them on a little longer to brown and crisp or take them off a little sooner if I want them softer. This is just my basic bread recipe. 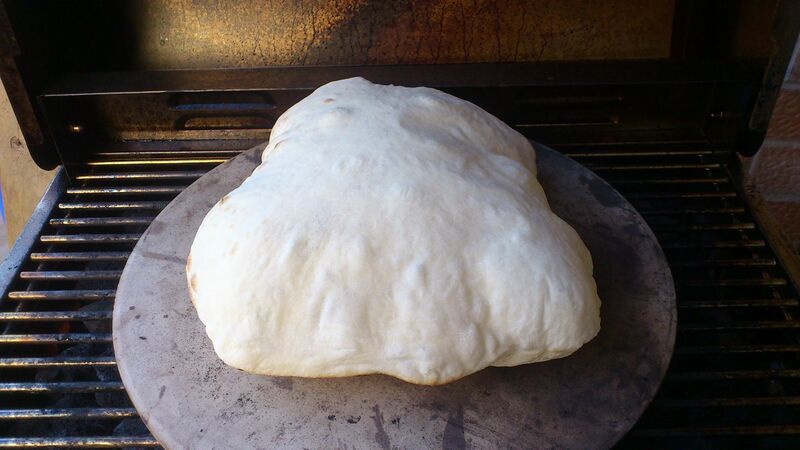 A little less water than the rustic kind and a slow rising in the refrigerator making the pita easier to shape. I use a mixer with a dough hook which makes the whole process painless. Mix until a stiff dough forms and comes cleanly away from the bowl. Rest the dough for about 2 hours and then add to a floured container with a loose lid and refrigerate for at least overnight. Heat the pizza stone until the temperature is approximately 225-250 degrees Celsius. Divide the dough into 8. 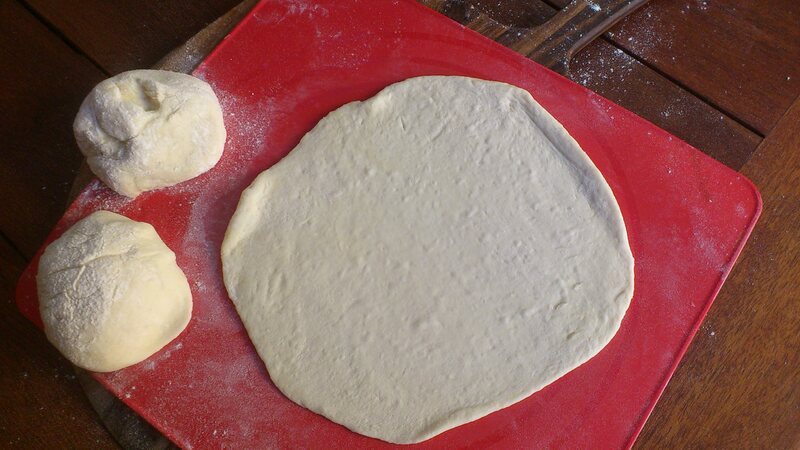 Roll one pita thinly while the previous is cooking, using extra flour to ensure it doesn’t stick. When the pita has puffed up and is browned to your taste on the bottom it is time to flip it over. Use a spatula and oven mitt or tea towel to protect your hand as it is full of hot steam. Cool, using clean tea towels at the bottom and top of the stack to absorb the steam.